Do you know that you'll be getting a new Medicare Card soon? The Medicare Access and CHIP Reauthorization Act (MACRA) of 2015, required Medicare to remove Social Security Numbers (SSNs) from all Medicare cards by April 2019. 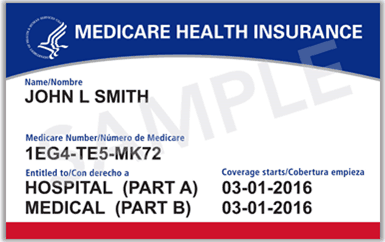 A new Medicare Beneficiary Identifier (MBI) will replace the SSN-based Health Insurance Claim Number (HICN) on the new Medicare cards. Although this new number, called an MBI, should be safer than using your Social Security number, it should still be kept secure, because it can still be used for Medical ID theft. Medicare has already started working on getting your New Medicare Card to you. The first wave of new Medicare cards will be mailed out in April 2018. The cards will be sent to people in a specific geographic location. 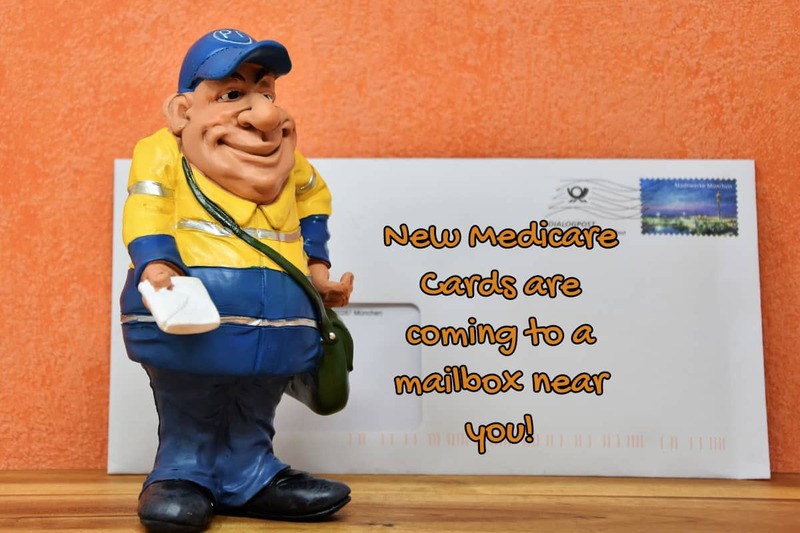 Because the cards are being mailed, it is very important that Medicare has your updated address. If they don't have it, you won't get a copy of your new card. Since the MBI won't be “guessable”, you'll want to be sure you get your card so you won't lose access to care. There will be a transition period that will start on April 1st, 2018, and will run all the way through December 31st, 2019. But starting on 1/1/2020, everyone will need to start using the new MBI numbers and cards. Mailing a New Medicare Card to each beneficiary in the USA will take some time. Your neighbor might get her new Medicare card at a different time than you receive yours. Whats the difference between the two cards? The current number, known as a HICN, is normally 10-11 digits long, and consists of your Social Security number, and generally one letter, although not always. The new MBI will be 11 digits, and will consist of numbers and uppercase letters. Each one is unique and made of randomly generated characters that don't have any special meaning. The HICN letters do have special meaning, so that will be changing. And again, these won't be “guessable” like the HICN. Your new Medicare card will have a new Medicare Number that’s unique to you, instead of your Social Security Number. This will help to protect your identity. Your new card will automatically come to you. You don’t need to do anything to get your new Medicare card. Your new Medicare card is paper, which is easier for many providers to use and copy. What does the New Medicare Card mean for you? 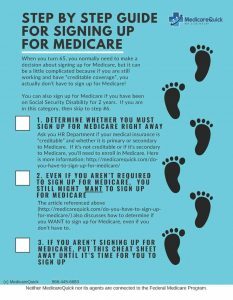 You can start using their new Medicare cards and MBIs as soon as they get them. You should update your mailing address with Medicare as soon as possible. If your address needs to be corrected, contact Social Security at ssa.gov/myaccount or 1-800-772-1213. TTY: 1-800-325-0778. Your doctor and insurance company have until 12/31/19 to start using the new numbers. It will take time for them to change their systems too. And, there are some scams happening around the changeover. Beware of anyone who contacts you about your new Medicare card. If you have questions about Medicare, we can help! Contact us today.